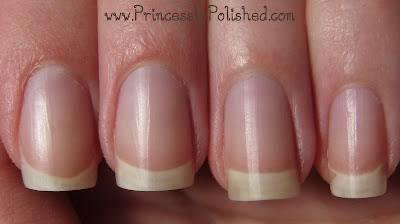 Princessly Polished: My New Favorite Glass Nail Files: From Design Glassware by Mont Bleu! My New Favorite Glass Nail Files: From Design Glassware by Mont Bleu! Today I'm sharing two fantastic products that I was sent for review purposes from Design Glassware by Mont Bleu. They contacted me asking if I'd be willing to test and share their tools, and of course I said yes! In addition to the files shown above I was also sent tweezers, which will get their own review posted separately. I'll start off by saying that I live in the US, and Mont Bleu is located in the Czech Republic. Their website is easy to navigate and has quick currency conversion for worldwide shoppers. (In view of fluctuating currencies I will only mention the approximate prices in USD.) While 2-day rush shipping is available I was happy to see that the shipping on the above 3 items was less than $5 if you could wait for Priority Airmail! That is a fair price, and competitive with US-based businesses. These items also arrived well-packed in a box with plenty of bubble wrap, so they were safe and sound in their individual cases. Mont Bleu has opened their Online shop, aptly named Design Glassware. They specialize in items decorated with Swarovski crystals and have a wide range of decorated files. So, lets take a look at what they sent me! If you're not familiar with the benefits of using glass files, here is a quick run-down. 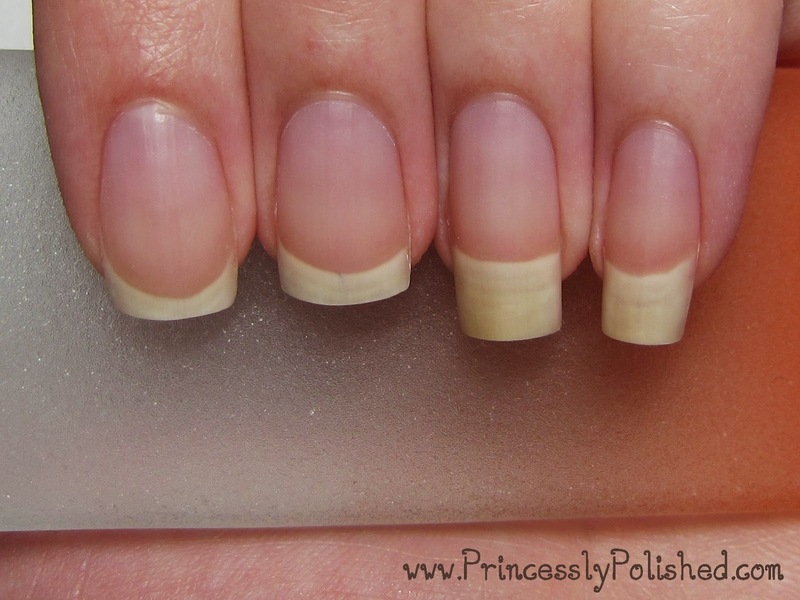 The abrasive surface files your nails in a gentle way, and is generally faster than using an emery board. Being made of glass, they can be washed to keep them sanitary. They don't wear out and need replacing, and they are stylish. Glass nail files are an eco-friendly, long term investment! Alright, I'll admit that the extra-large orange file is not intended for nails... it is meant for removing callouses. However, I don't really have much by way of rough foot skin. What I do have are fingernails that fare best with filing to remove length, rather than typical trimming. Filing off length is a time-consuming process, and the average glass fingernail file is not beefy enough for the task. When I received this foot file I was excited to try it on my nails. The file has a lot of heft to it compared to the usual nail file, but is easy to hold. While one side is more abrasive than the other, both qualify as 'high grit'. The edges are rounded and abrasive, as well. Care should be taken that you don't accidentally scratch anything by being clumsy with it, and I'll be sure to keep it in it's clear case when I'm not doing a manicure. 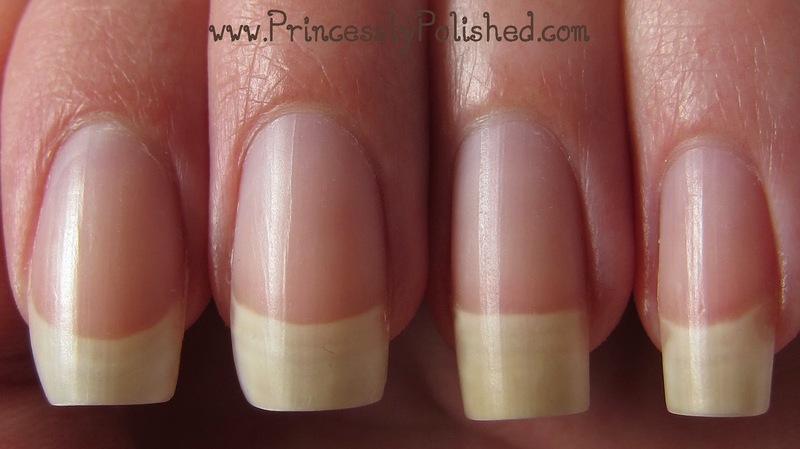 Recently my nails grew out very long without any breaks. They were sort of fantastic, but on the verge of being dangerous. It was the perfect time to try this file! This big tempered glass file works perfectly for my needs. It removes length very quickly and it won't get worn out with continued use. I definitely prefer it over the emery boards I had been using. I also tried washing it and it came clean with a quick rinse under water. Considering the time saved filing and the fact that I won't have to keep buying disposable files this product is definitely worth the price! I didn't find the exact color and design of file they sent me for review, but they have a variety of designs to choose from. I like the happy yellow crystals on my file, and they really pop when stored in the velvety black sleeve. The tempered glass has a very fine abrasive grit. I found it to be very effective for filing without having to use much force, and a very light touch is all I needed for buffing the edges of my nails. The file is slim, easy to use and rinsed clean easily. This is a high-quality nail file and reasonably priced for being decorated with Swarovski crystals. By the end of my manicure session my nails were happy and I was converted to these glass files. I have other "no name" glass files in my stash that were just... okay. These I'll be reaching for again! I am very impressed with these products from Mont Bleu. I may not have ever found anything like the foot file if they had not contacted me, and now I don't ever want to be without it! I highly recommend checking out their shop; they have all sort of goodies. What item catches your eye? Disclaimer: These products were sent to me free in exchange for an honest review. This in no way affected my opinion of them! All thoughts in this post are my own. See my full disclosure here.